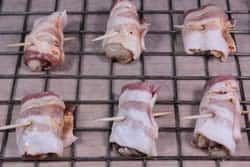 Smoked Oysters Wrapped in Bacon - "Angels on Horseback"
Legend and even science suggest that oysters can be a natural aphrodisiac and that's not a bad thing.. but, I must point out that smoked oysters wrapped in bacon are extremely tasty either way. 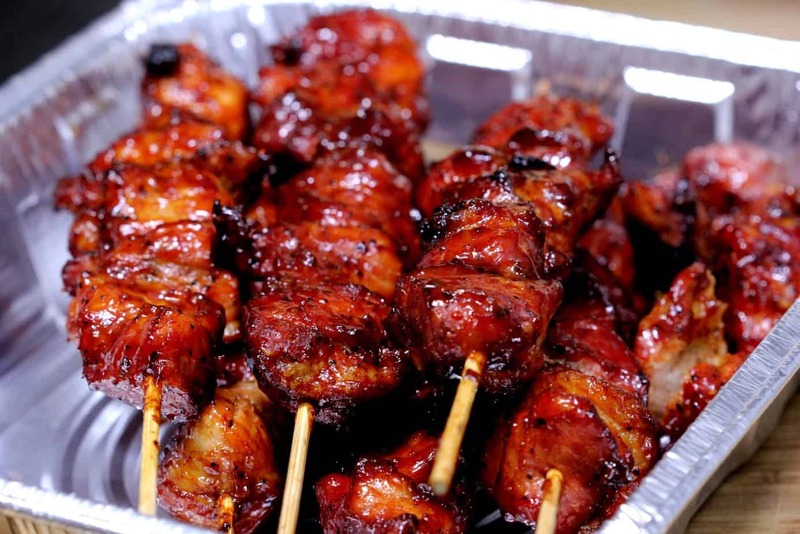 These are also called smoked “Angels on Horseback” in many places. 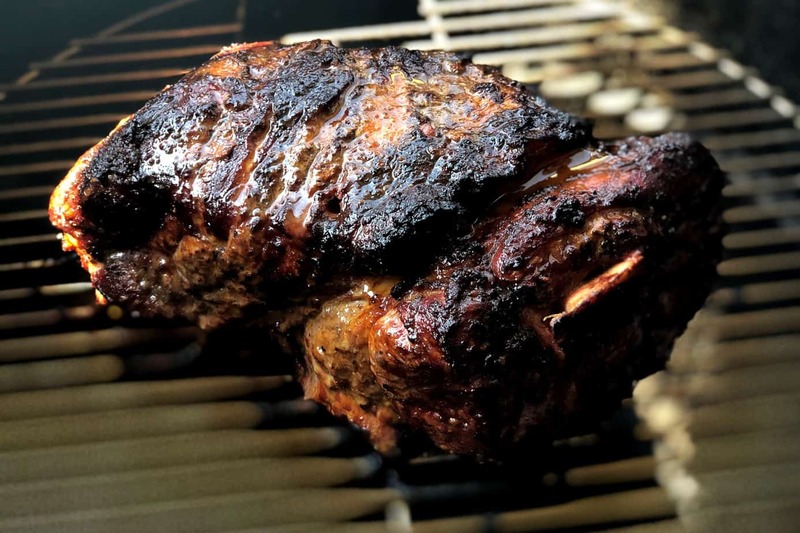 The true versatility of my rub really comes out when you see how well it seasons these oysters yet doesn't even start to overpower their delicate and unique flavor. 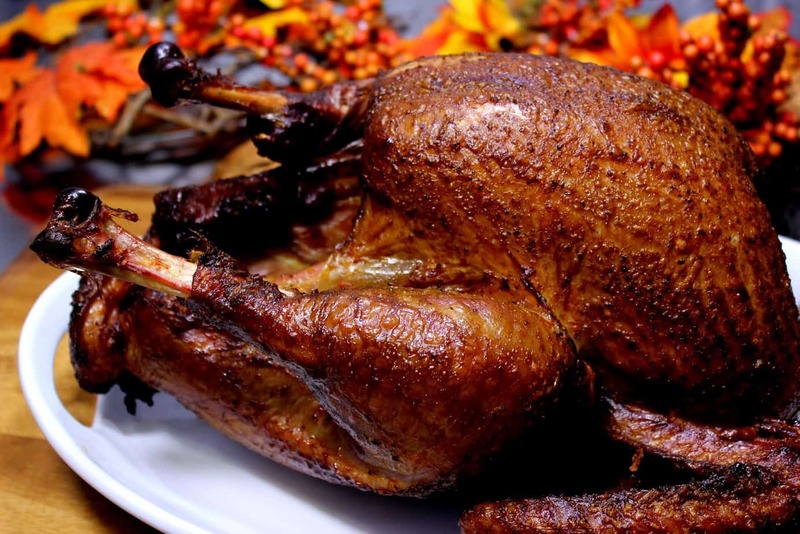 Fresh seafood and especially oysters are not always readily available here in the midwest. 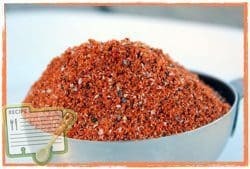 The ones we do find are expensive and probably not as fresh as the ones that some of you coastal folks get. 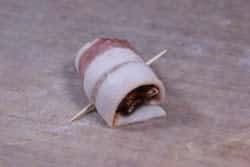 The ones I buy locally are available with a simple phone call and they can usually have them shucked and on ice, ready to carry out in about an hour. 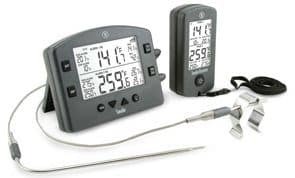 Keep the oysters really cold until you are ready to use them. 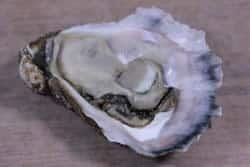 Be sure to rinse each oyster really well under cold water to remove sand, grit, pieces of shell, etc. This can be done using a metal colander, strainer or you can simply hold each one under water while you feel for any pieces of shell that might be lodged in the muscle. 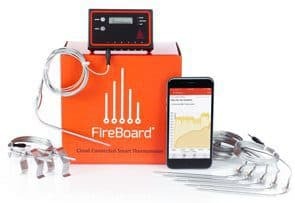 This is an important step so don't skip it. I also use the shells to present the finished smoked oysters so I give them a good scrubbing while I'm at it. Lay the cleaned, rinsed and dried oysters out on the cutting board. 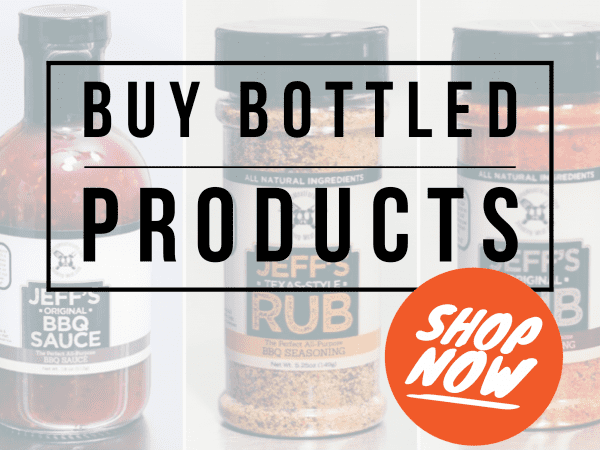 Sprinkle Jeff's original rub on them for great flavor. 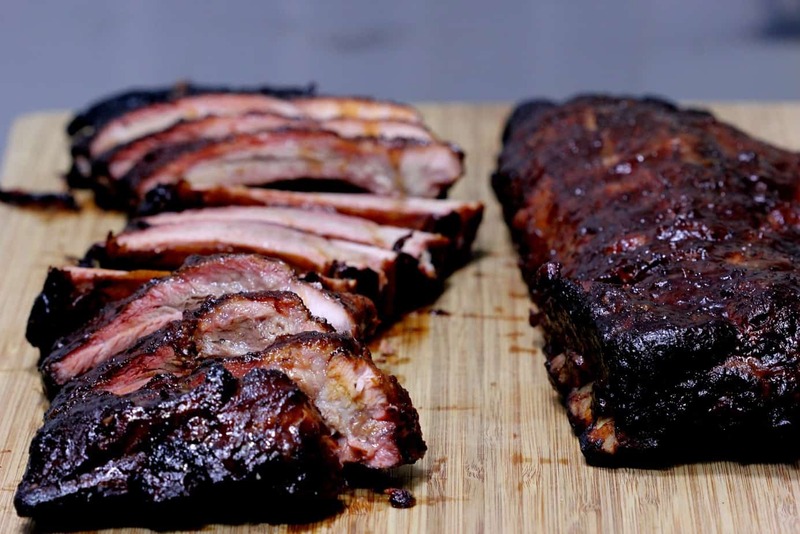 If you prefer to use a rub that has no sweetness to it, you can also use my Texas style rub on them. 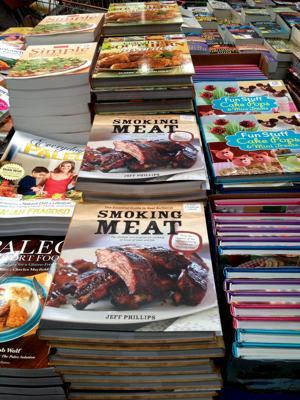 Flip them over and season the other side in the same manner. 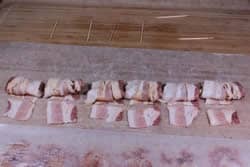 Cut thin strips of bacon into thirds, i.e. 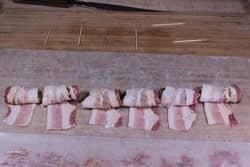 you'll make 2 cuts on each piece of bacon so that you end up with 3 equal pieces. 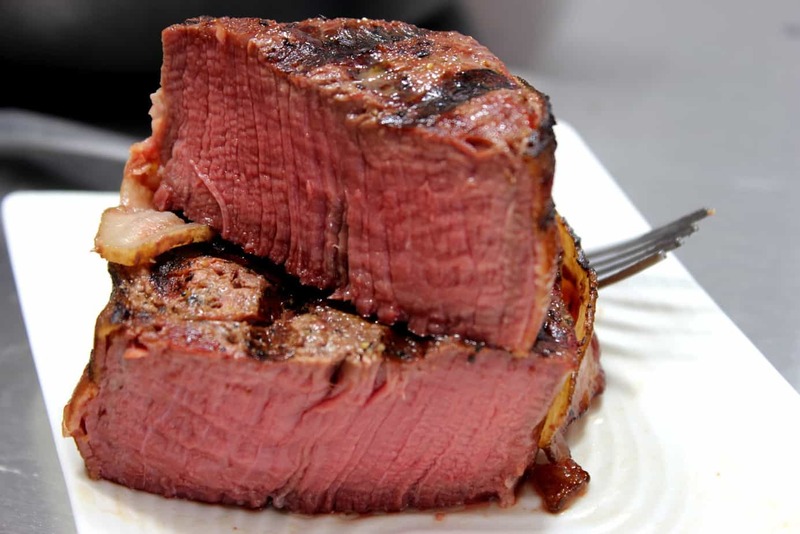 I prefer to use sharp kitchen scissors or shears for this. 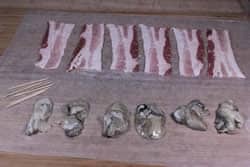 Wrap the bacon around the oyster making sure it overlaps just a little. It only needs to overlap about ½ inch. Cut off any excess with scissors. 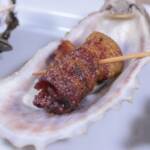 Pierce the bacon wrapped oysters through with a toothpick to hold everything in place. 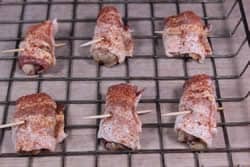 Place the bacon wrapped oysters on a Bradley rack or cookie sheet to make it easy to carry them out to the smoker. 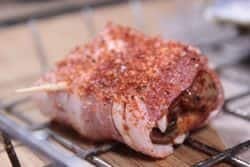 Sprinkle rub onto the tops of the bacon wrapped oysters and you're ready to smoke! 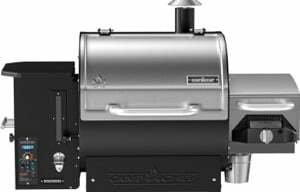 Set up your smoker for cooking at about 225°F with a light flavored wood such as alder or almost any fruit wood. I used cherry wood. 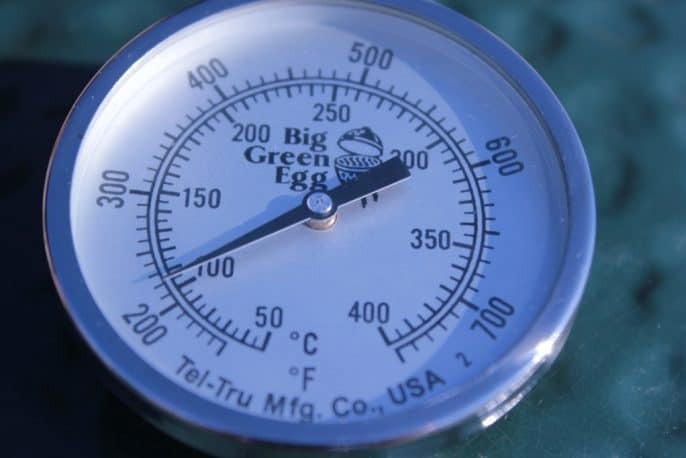 Let the smoker preheat until it is maintaining a very steady temperature. 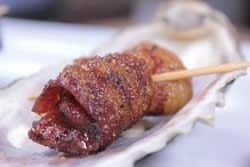 Place the bacon wrapped oysters directly on the smoker grate making sure the heat is completely indirect. 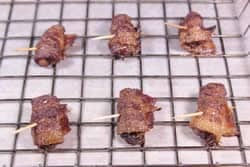 Let these cook for about 1 hour and 45 minutes or until the bacon starts looking brown and crisp. 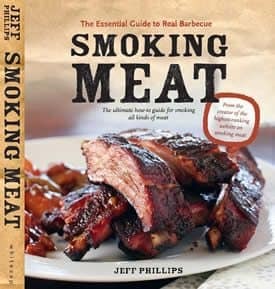 Keep the smoke going for at least 1 hour but I recommend keeping a light smoke going the entire time if possible. Some will ask if the oyster gets overcooked. 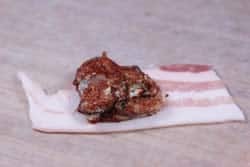 Perhaps it does technically however, like bacon wrapped shrimp or scallops, the bacon somehow protects it and it should not taste overcooked at all. 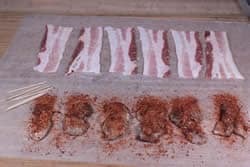 Place the smoked oysters wrapped in bacon onto the cleaned shells (if you were able to use fresh oysters) for great presentation. 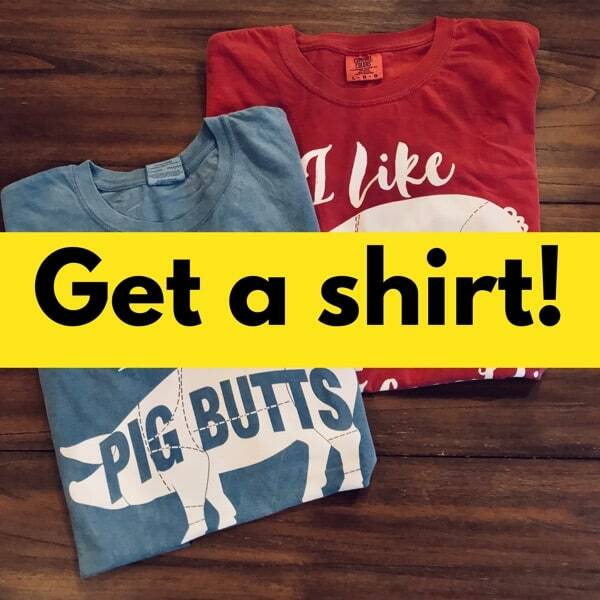 Serve immediately and watch them disappear! 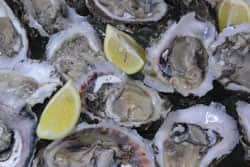 Can I use oysters that are already shucked in a jar? You can definitely use whatever oysters you have available but fresh will always be better in my opinion. 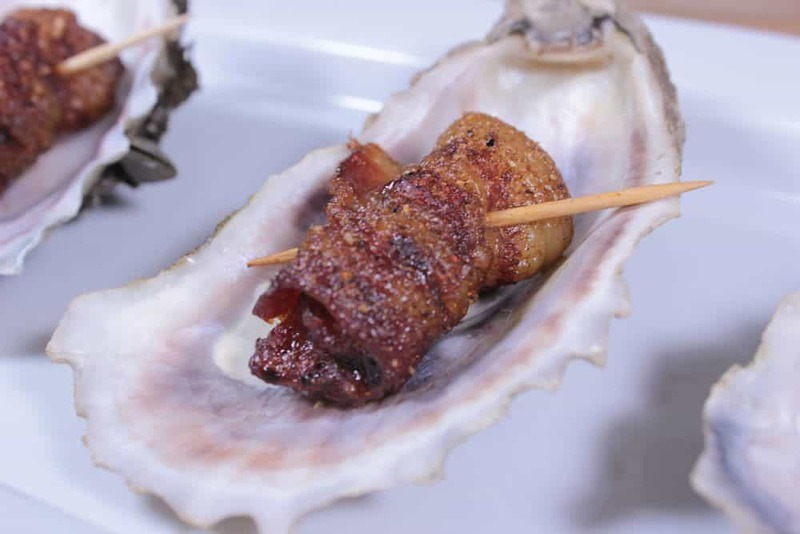 Legend and even science suggest that oysters can be a natural aphrodisiac and that’s not a bad thing.. but, I must point out that smoked oysters wrapped in bacon are extremely tasty either way. 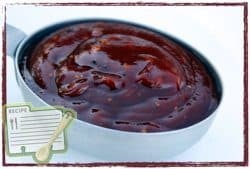 Serve immediately with hot sauce or a 50/50 mix of Louisiana Hot Sauce and Jeff's Barbecue sauce and watch them disappear.